I have noticed that there is an abundance of resources for learning the what and why of deep learning. Unfortunately when it comes time to make a model, their are very few resources explaining the when and how. I am writing this article for other data scientists trying to implement deep learning. So you don’t have to troll through research articles and Reddit discussions like I did. In this article you will learn why dropout is falling out of favor in convolutional architectures. 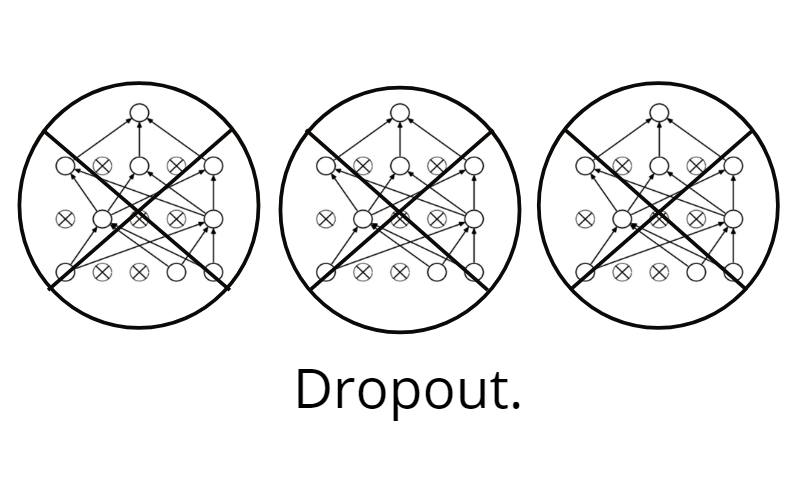 If you are reading this, I assume that you have some understanding of what dropout is, and its roll in regularizing a neural network. If you want a refresher, read this post by Amar Budhiraja. Generally, we only need to implement regularization when our network is at risk of overfitting. This can happen if a network is too big, if you train for too long, or if you don’t have enough data. If you have fully-connected layers at the end of your convolutional network, implementing dropout is easy. Note that this only applies to the fully-connected region of your convnet. For all other regions you should not use dropout. Instead you should insert batch normalization between your convolutions. This will regularize your model, as well as make your model more stable during training. 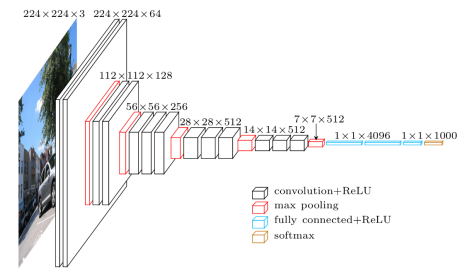 Batch normalization is another method to regularize a convolutional network. On top of a regularizing effect, batch normalization also gives your convolutional network a resistance to vanishing gradient during training. This can decrease training time and result in better performance. There are some hyperparameters you can tweak in this function, play with them. You can also insert batch normalization after the activation function, but in my experience both methods have similar performance. 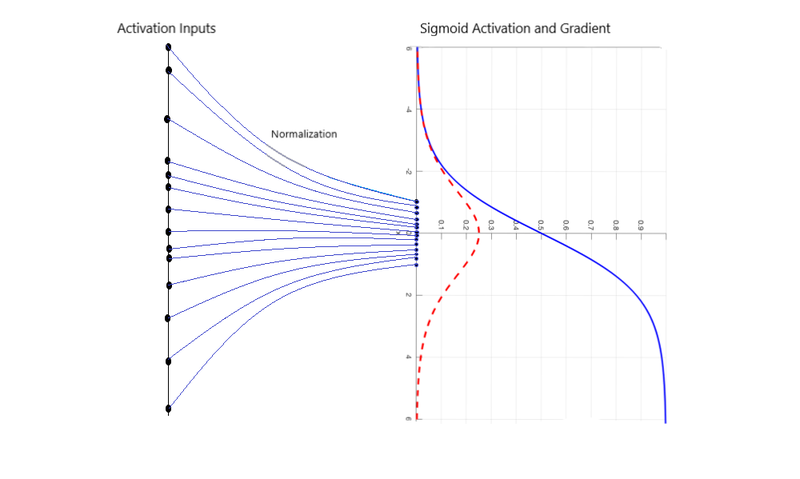 Even if you don’t need to worry about overfitting there are many benefits to implementing batch normalization. Because of this, and its regularizing effect, batch normalization has largely replaced dropout in modern convolutional architectures. As to why dropout is falling out of favor in recent applications, there are two main reasons. First, dropout is generally less effective at regularizing convolutional layers. Second, what dropout is good at regularizing is becoming outdated. Large models like VGG16 included fully connected layers at the end of the network. For models like this, overfitting was combatted by including dropout between fully connected layers. Unfortunately, recent architectures move away from this fully-connected block. 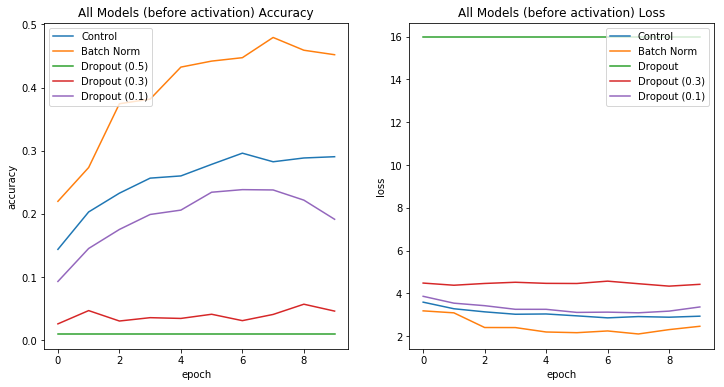 By replacing dense layers with global average pooling, modern convnets have reduced model size while improving performance. I will write another post in the future detailing how to implement global average pooling in a convolutional network. Until then, I recommend reading the ResNet paper to get an idea of GAPs benefits. I constructed 5 identical convolutional architectures, and inserted either dropout, batch norm, or nothing (control) between convolutions. By training each model on the Cifar100 dataset I achieved the following results. The high performance of the batch-normalized model supports the claim that batch normalization should be used between convolutions. Furthermore, dropout should not be placed between convolutions, as models with dropout tended to perform worse than the control model. For more information check out the full write-up on my GitHub. If you were wondering whether you should implement dropout in a convolutional network, now you know. Only use dropout on fully-connected layers, and implement batch normalization between convolutions. Bio: Harrison Jansma is a Masters Student in Computer Science at the University of Texas at Dallas. Harrison is fascinated by computer vision, machine learning, and back-end development.